The two colleagues combined to make enemies in Henry’s 1837 race for probate justice against Democrat James Adams. “Lincoln excoriated Adams as a forger, a whiter, a fool, and a liar. It is not clear whether he wrote the series of anonymous letters in the Sangamo Journal that skewered Adams, but it seems likely,” wrote historian Michael Burlingame.4 Evidently, the race brought out the nastier side of both Dr. Henry and Mr. Lincoln, but without a favorable outcome. Henry lost the race and Mr. Lincoln lost face. Mr. Lincoln made another patronage recommendation for Dr. Henry in 1850: “I understand you have under consideration the question of appointing Dr. A.G. Henry to some Indian Agency,” Mr. Lincoln wrote the new Interior Secretary. “I wish now merely to say that of all those whom I have desired should receive appointments from this Administration, Dr. Henry was at first, has always been, and still is, No. One with me. I believe, nay, I know he [Henry] has done more disinterested labor in Whig cause, than any other one, two, or three men in the state.”8 Although Mr. Lincoln’s doctor did not get this position, he eventually was named Indian Agent for Oregon later that year, but he didn’t actually move to Oregon until two years later. Long before this you have learned who was nominated at Chicago. We know not what a day may bring forth; but, to-day, it looks as if the Chicago ticket will be elected. I think the chances were more than equal that we could have beaten the Democracy united. Divided, as it is, it’s chance appears indeed very slim. But great is Democracy in resources; and it may yet give it’s fortunes a turn. It is under great temptation to do something; but what can it do which was not thought of, and found impracticable, at Charleston and Baltimore? The signs now are that Douglas and Breckenridge will each have a ticket in every state. They are driven to this to keep up their bombastic claims of nationality, and to avoid the charge of sectionalism which they have so much lavished upon us. It is an amusing fact, after all Douglas has said about nationality, and sectionalism, that I had more votes from the Southern section at Chicago, than he had at Baltimore! In fact, there was more of the Southern section represented at Chicago, than in the Douglas rump concern at Baltimore!! Our boy, in his tenth year, (the baby when you left) has just had a hard and tedious spell of scarlet-fever; and he is not yet beyond all danger. I have a head-ache, and a sore throat upon me now, inducing me to suspect that I have an inferior type of the same thing. Our eldest boy, Bob, has been away from us nearly a year at school, and will enter Harvard University this month. He promises very well, considering we never controlled him much. Allen C. Guelzo, “Holland’s Informants: The Construction of Josiah Holland’s ‘Life of Abraham Lincoln,’”, Journal of the Abraham Lincoln Association, Volume 23, Number 1, Winter 2002, p. 25 (Letter of Anson G. Henry to Josiah G. Holland, June 16, 1865). Roy P. Basler, editor, The Collected Works of Abraham Lincoln, Volume II, p. 339 (Letter to Anson G. Henry, November 9, 1858). Paul M. Angle, Here I Have Lived: A History of Lincoln’s Springfield, p. 65. Michael Burlingame, The Inner World of Abraham Lincoln, p. 151. Roy P. Basler, editor, The Collected Works of Abraham Lincoln, Volume I, p. 228 (Letter to John T. Stuart, January 20, 1841). Ida M. Tarbell, The Life of Abraham Lincoln, Volume I, p. 180. Carl Sandburg, Abraham Lincoln: The Prairie Years and the War Years, p. 70. Roy P. Basler, editor, The Collected Works of Abraham Lincoln, Volume II, p. 78 (Letter to Thomas Ewing, March 22, 1850). Roy P. Basler, editor, The Collected Works of Abraham Lincoln, Volume III, p. 339 (Letter to Anson G. Henry, November 19, 1858). Roy P. Basler, editor, The Collected Works of Abraham Lincoln, Volume IV, p. 81-82 (Letter to Anson G. Henry, July 4, 1860). Roy P. Basler, editor, The Collected Works of Abraham Lincoln, Volume VI, p. 202 (Letter to Salmon P. Chase, May 8, 1863). Carl Sandburg, Abraham Lincoln: The Prairie Years and the War Years, p. 487. 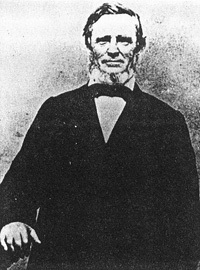 Michael Burlingame, editor, Noah Brooks, Lincoln Observed: The Civil War Dispatches of Noah Brooks, p. 237, 36 (Letter of Anson Henry to his wife, April 12, 1863). Noah Brooks, Washington, D.C., in Lincoln’s Time, p. 60-61. Benjamin P. Thomas, Abraham Lincoln, p. 457-458. Noah Brooks, Washington, D.C., in Lincoln’s Time, p. 198. Harry C. Blair, Dr. Anson G. Henry: Physician, Politician, Friend of Abraham Lincoln, p. 19 (Portland, Oregon, 1950). Michael Burlingame, editor, Noah Brooks, Lincoln Observed: The Civil War Dispatches of Noah Brooks, p. 171. Richard W. Etulain, editor, Lincoln Looks West: From the Mississippi to the Pacific, p. 185 (Paul M. Zall, “Dr. Anson G. Henry (1804-65): Lincoln’s Junkyard Dog”). 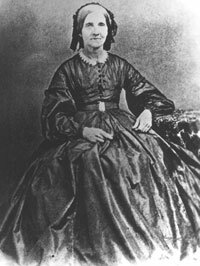 Justin G. Turner and Linda Levitt Turner, editor, Mary Todd Lincoln: Her Life and Letters, p. 260-261 (Letter from Mary Todd Lincoln to Anson G. Henry, July 17, 1865). Noah Brooks, Washington, D.C., in Lincoln’s Time, p. 117-118. Allen C. Guelzo, “Holland’s Informants: The Construction of Josiah Holland’s ‘Life of Abraham Lincoln,’”, Journal of the Abraham Lincoln Association, Volume 23, Number 1, Winter 2002, p. 14, 17 (Letter of Anson G. Henry to Josiah G. Holland, June 16, 1865).